Aalborg Zoo first opened in 1935. It has more then 1.200 animals from more then a hundred different species, spread out over an 80.000 square metres area. It is one of the biggest zoos in Denmark, attraction almost 400.000 guests yearly. 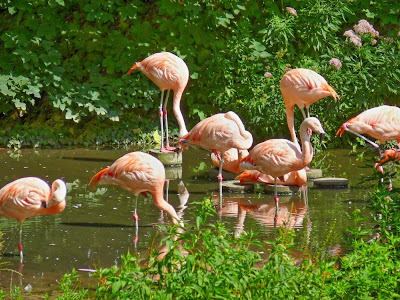 The key values of the zoo is conservation of endangered species and to preserve nature. The zoo play a major role in several international projects supporting these goals. Connected to the zoo is also the amusement park Karolinelund Tivoli. 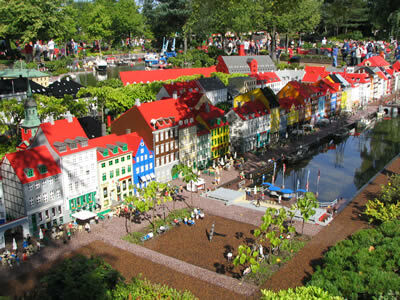 Legoland Billund is the original Legoland park. It opened in 1968, next to the original Lego factory. The parks have nine worlds, with Miniland being the heart. The other worlds are Duplo Land, Imagination Zone, Legoredo Town, Adventure Land, Lego City, Knights' Kingdom, Gift Shop and Polar Land. The park is visited by millions of people every year, and is Denmark's largest tourist attraction outside of Copenhagen. This is the second oldest amusement park in the world. It was opened August 15, in 1843. During each season it has about 4,5 million visitors. The main attractions of the park are the rollercoasters. Rutsjebanen - one of the oldes rollercoasters that is still in action. Dæmonen - With a loop and a zero-g roll in less then two minutes. Or, the eighty meters high Himmelskibet. 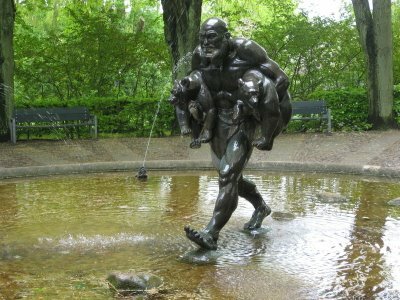 Also the park features several stages for performing arts.